We have a visiting cold front, bringing lovely cool air and lovely rain to some parts of the island. Aah! Graffiti wars: It’s either smart PR, or clever strategy to lure gang members. Senior Superintendent of Police Steve McGregor, who is in charge of West Kingston, stands in front of walls covered with graffiti calling for “freedum” (sic) for the oppressed inner-city area. 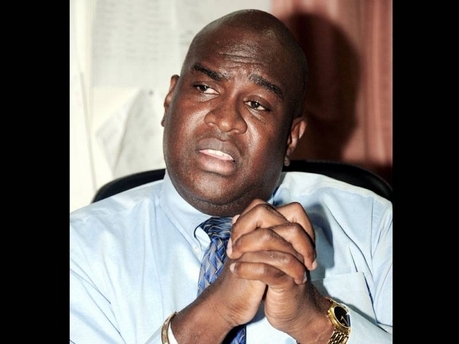 There were over eighty murders in West Kingston last year. The spelling doesn’t matter, but the police seem happy with the defaced walls. The messages suggest that residents are tired of the lingering influence of Christopher “Dudus” Coke and his cronies. On previous occasions the police have whitewashed out some beautifully painted walls in inner city areas – because they celebrated the lives of supposed gangsters, one assumes. I’ve seen similar wall art in San Francisco in memory of a “ghetto youth” and no one would dream of painting it out. It’s a pity. I am not criticizing SSP McGregor however; I have always known him to be committed to community policing efforts and I wish him luck in his difficult task. I think I understand what he is trying to do. “Death Squads”: The Sunday Gleaner dropped a bombshell with its headline today. A former policeman is alleging that senior police officers order the killing of wanted men. The police high command issued a press release today sternly denying any such thing, as you would expect them to; and urging those with such knowledge to let them know, without fear of reprisal. I don’t expect anyone to be doing such a thing any time soon. And I think many Jamaicans may believe such “death squads” exist. And this is the problem: trust. Or should I say, the lack of it. I’m glad to see that USAID has embarked on Phase 2 of its Community Empowerment and Transformation Project (COMET). Its main aim is to improve police-community relations and citizen security. Nothing could be more important. Nothing! After the apparent mismanagement (according to the Auditor General) of the government’s agro-parks, the Ministry of Agriculture is throwing more money at them, to the tune of J$1 billion. They are supposed to be engines of growth. “We will have to work to straighten this one out,” says Minister Roger Clarke of the fiasco in St. Thomas, which has seen failed crops and farmers owing hundreds of thousands of dollars. Let’s hope the European Union and Inter-American Development Bank’s money will be properly spent, this time. The elusive U.S. Dollar: After Jamaica Manufacturers’ Association head Brian Pengelley expressed his frustration over the shortage of foreign exchange, noting several pointless meetings at the Bank of Jamaica (BoJ) and business people running round town desperately searching for it, the BoJ has come clean. It also needs U.S. Dollars and is going to be snapping them up, in order to keep the Net International Reserves at the level required by the International Monetary Fund! What encouraging news… So, with J$1 going for close to US$107, we can expect it to slip still further. Oh, but it’s all awesome isn’t it, Jamaica Observer? (see my note below). 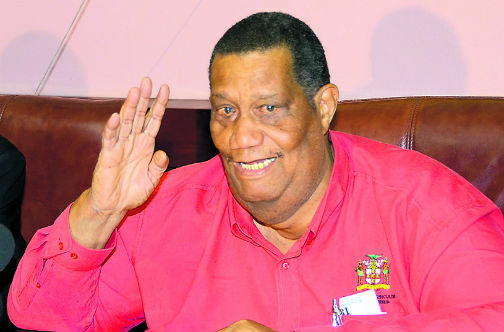 A laid-back response: Opposition Leader Andrew Holness eventually responded to a journalist’s question on the utterances of Mr. Everald “Go to Hell” Warmington, who declared recently that those who did not vote (for his party) should not receive any benefits from him. Mr. Holness observed (when pressed by a journalist for a comment): “The party’s position has always been that state resources are available to all citizens, regardless of their belief and whether or not they vote, yes or no.” I am not impressed by his rather casual response to comments that are a) undemocratic b) unconstitutional and c) corrupt, as Professor Munroe suggested. I guess if “Warmie” had made these remarks in Parliament Mr. Holness might have had to make more of a big deal out of it. In an excellent Jamaica Observer column, Mark Wignall questions whether Mr. Holness can be a “transformative” leader if he continues in this vein. I question also. Is there any point? 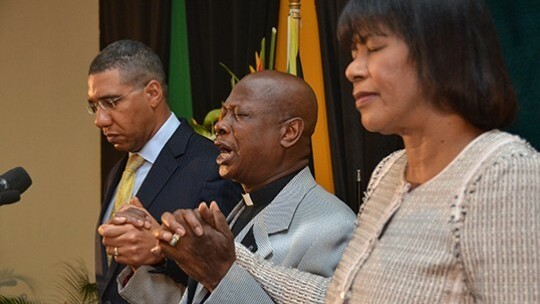 As happens every year, Jamaicans discuss whether the annual National Prayer Breakfast has any purpose. I get the feeling that most Jamaicans think it can’t do any harm. But isn’t it just a lot of hot air, an empty ritual? Don’t we have enough speechifying and sermonizing? Nevertheless, the proceeds do go to a good cause every year; I hope the pledged funds reach their destination. 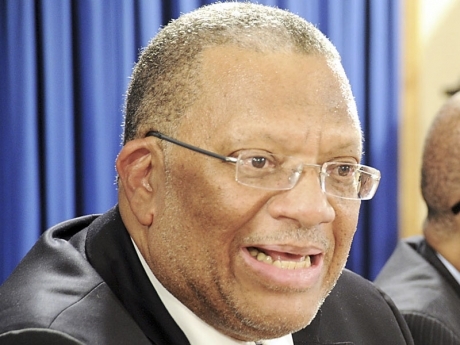 “Demoralized,” yes… Finance Minister Peter Phillips said something rather profound recently. 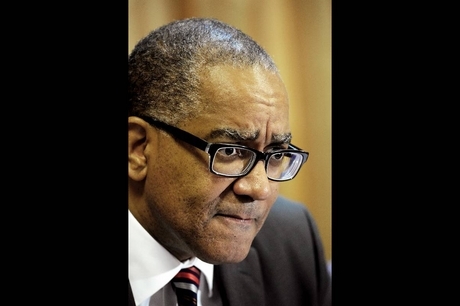 He said the Jamaican nation is demoralized – in other words, Jamaicans are doubting their ability to succeed. When this happens, of course, a kind of paralysis sets in – we are frozen and unable to act. Very true, I think. But we must unfreeze ourselves, and get moving! The Prime Minister on leadership: “There are some leaders who speak to everything… I really need to get some things done and work every day and I work very hard,” our Prime Minister Portia Simpson Miller told journalists after the prayer breakfast. Yes, Ma’am. Hard work is your mantra, we know, and nothing wrong with that. But leaders must also communicate with their followers in a substantial way. Do not hide behind “working, working, working.” You have a large staff. Delegate! Communicate! Everything hunky dory… except… Oh. One little Thing, and a few others. I am all for optimism, and I actually truly am an optimist by nature. But a statement like “We suggest that never before have so many of the elements of success come together at the same time as now” is far-fetched and just plain silly. The Thing (or should I call it, “monster” of crime), of course, was not mentioned in – yes, you’ve guessed it – another pie-in-the-sky, off-the-mark editorial headlined “Five signs that Jamaican prosperity is now on the horizon” in the Jamaica Observer. 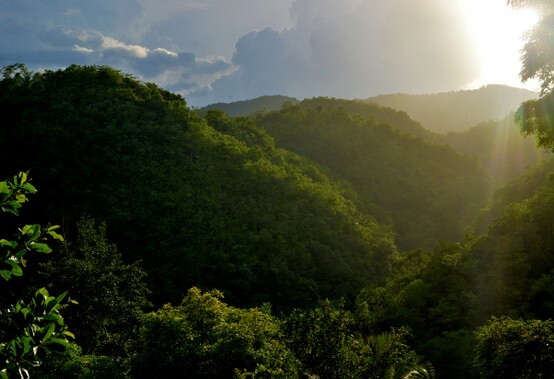 Over three months ago, the Office of Utilities Regulation (OUR) selected Energy World International (EWI) as the entity to build a 360 megawatt power plant in Jamaica. What is the status of the due diligence process? The Jamaica Public Service Company has announced that it is partnering with EWI to acquire a stake in the power plant. Professor Trevor Munroe, of National Integrity Action, and the Opposition JLP are requesting an update. We need one! 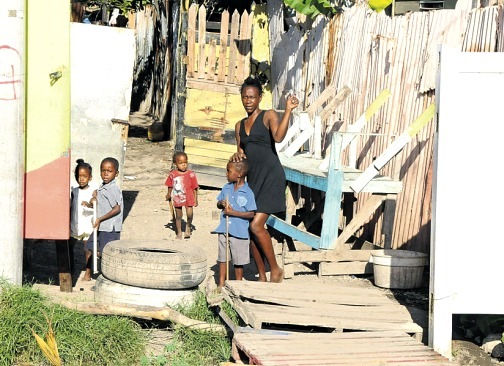 Those zinc fences: If anyone thinks that removing zinc fences and replacing them with painted white PVC ones is going to make one jot of difference to the lives of the impoverished community of Greenwich Town (represented by our Prime Minister)…think again. Do they have flush toilets or running water? Or jobs? Tourism comparisons: Meanwhile, the small, dry, volcanic island of Tenerife gets five million visitors a year. And Guyana is reporting a twelve per cent increase in visitors last year. How does Jamaica compare? A lot of cash: Do Jamaicans know that they are obliged to formally report amounts of $10,000 or more in U.S. dollars, equivalent foreign currency, or other monetary instruments when traveling in and out of the United States? Two Jamaican women were caught carrying US$65,643 and $31,040 in cash while attempting to board a flight to Montego Bay recently. They weren’t charged, but the cash was seized. Be aware! The “untouchables”? I have learned this week that the flouting of Jamaica’s environmental laws by People Who Should Know Better continues unabated. I have heard of two such cases on the western side of the island. They ought to be ashamed of themselves. Are the government agencies responsible for protecting our environment willing to take action? Let’s not hold our breath. More dreadful writing, Gleaner and Observer: The Gleaner wrote an article purportedly about Berette Macaulay’s recent photo-art exhibition in Kingston. Except that it didn’t actually review the exhibition at all, and did not mention the title of it or the titles of the art works! The article consisted of a bio of Ms. Macaulay, copied and pasted from a website. As for the Sunday Observer, one of its articles (a sad story, about the murder of a young nurse that is unsolved after a year) included the phrase: “She meandered her Toyota Starlet motorcar…” How on earth do you meander a car? Sigh. What are the editors doing? Where are they? Support Jamaica’s Bobsled team! Remember the hit movie “Cool Runnings”? Although I had some problems with the authenticity of the actors etc., there’s no doubt the film did great things, celebrating the energy and commitment of Jamaicans. Well, I understand that the two-man bobsled team (comprising Winston Watts and Chris Stokes) has qualified for the Winter Olympics in Sochi, but does not have the funds to get there. They are trying to crowd-fund their trip and have raised just over US$14,000 so far. Here is the link: https://www.crowdtilt.com/campaigns/help-the-jamaican-bobsled-team-get-to-sochi/description Do share with anyone who might be able to support! And chip in with some dollars, if you can! I highly recommend Kate Chappell’s blog, Jamaican Journal. Kate is a Canadian journalist currently working as a CUSO volunteer with the non-governmental organization Youth Opportunities Unlimited in Kingston. She updates her blog daily and offers a clear-eyed view of current issues in Jamaica. Her recent story about young Navada Smith of Mountain View Avenue is especially inspiring. Find it at: jamaicajournal.wordpress.com. Ms. Deika Morrison is a marvel. She seems to have boundless energy and is such a genuinely caring person. 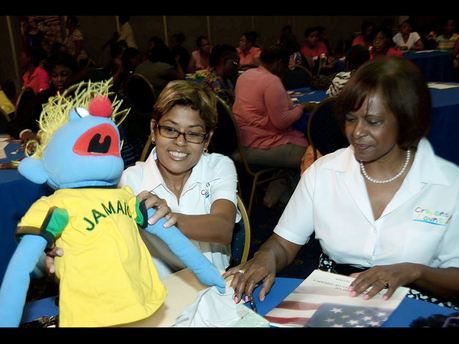 She has just received the Gleaner Honor Award for Education – and it is richly deserved – for her work with Crayons Count. Ms. Morrison has advocated tirelessly for greater recognition of early childhood stimulation over the past three or four years (using the social media to great advantage, too). Congrats! Not for the first time, there has been a murder in the supposedly quite rural community of Sherwood Content – the home of Usain Bolt. How strange. And how very sad that such an elderly man could be killed. 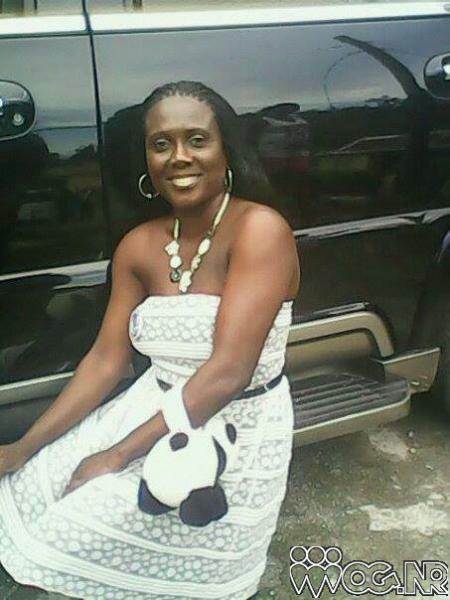 Another rural area, St. Elizabeth, has already had seven murders this year. One wonders about these things. My deepest condolences to those who are grieving. I hope they will find comfort, eventually. 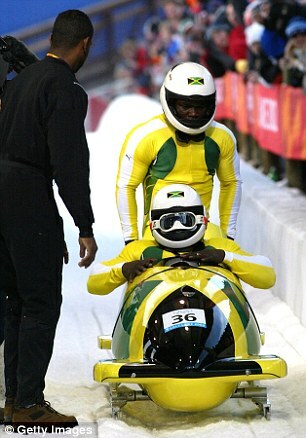 I do hope the Jamaican bobsled team can raise the necessary funds to go to the Olympics. This is really a great read each time it appears. Please note also the call for support for the national bobsled team. Actually, after last year’s numbers which were so high, this might help to raise awareness of the problem. Good idea, think I will start doing it from tomorrow’s mid-week bulletin! 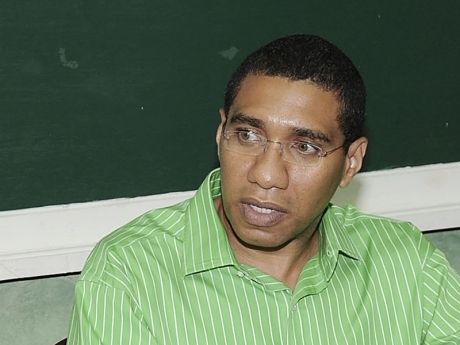 For the record, Mr. Holness suggests a debt write off for the St. Thomas farmers. Will reblog and broaden the reach of this post to try to help a little the bobsledders. Will corporate Jamaica come to their assistance. If only they could sing, now, they would get a bigger up? Our non-traditional athletes have a very hard time…very. You’re most welcome. I want more people to read your blog and comment on it! The story about the young man was great.